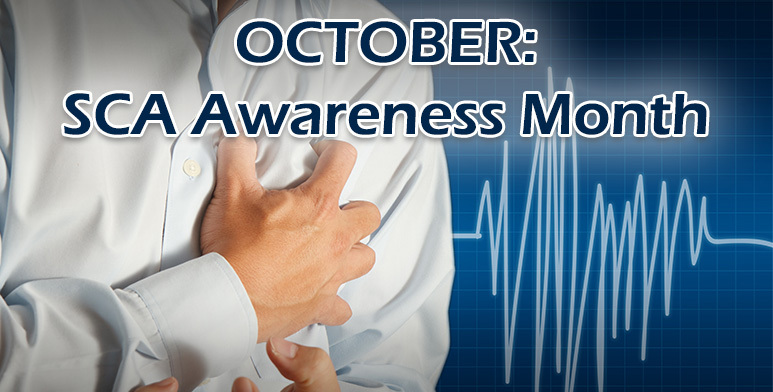 October is Sudden Cardiac Arrest Awareness month. According to the Sudden Cardiac Arrest Association, sudden cardiac arrest (SCA) takes the lives of 300,000 Americans a year. In fact, it’s the number one killer of men and women over the age of forty. The survival rate for a victim outside of the hospital is a low 8%. However, when a bystander steps in and performs CPR and AED defibrillation that rate increases to 38%, according to the Sudden Cardiac Arrest Foundation. Our mission here at EMS Safety Services is to provide you with the lifesaving skills you need to handle sudden cardiac arrest (SCA) with confidence, speed and effectiveness. Bystander CPR and defibrillation can truly make the difference between life and death for a victim of SCA. Sudden cardiac arrest occurs when the heart’s electrical system malfunctions and no longer generates a regular heartbeat. The most common type of SCA is called ventricular fibrillation, which results in the heart failing to bring oxygen to other parts of the body, including the brain. How is SCA different from a heart attack? 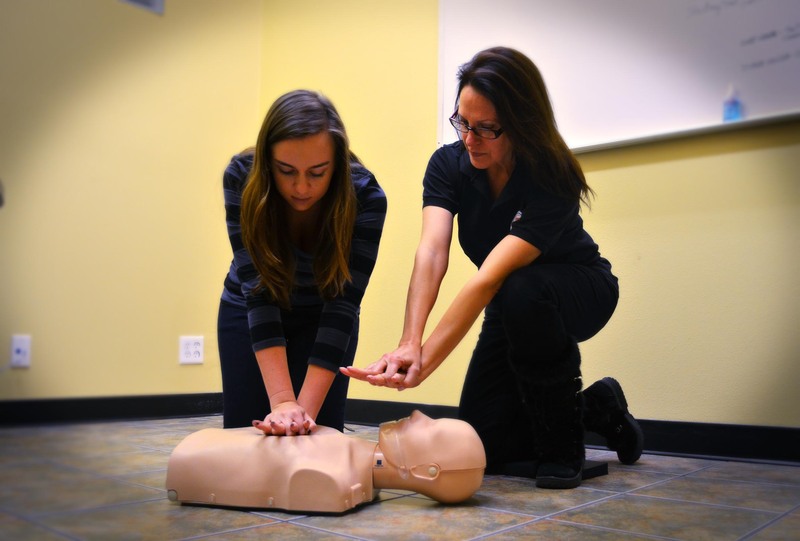 What are CPR and AED? Cardiopulmonary resuscitation (CPR) uses chest compressions, which move blood from the heart to the brain and internal organs, as well as mouth-to-mouth ventilation, to provide the victim with oxygen. An automated external defibrillator (AED) is a medical device that delivers an electrical shock to the victim’s heart to restore a regular heartbeat. This process is called defibrillation. Why should I learn CPR and AED? While calling 9-1-1 is an important step in the chain of survival for a victim, the few minutes before the paramedics arrive are crucial. With every minute an SCA victim goes without oxygen, the chance of survival decreases by as much as 10%. For this reason, early CPR and defibrillation are extremely important. I already have CPR and AED training. How can I make sure I’m prepared to handle SCA? 1Refresh your training. Go through your workbooks again and make sure you understand the steps. Ask yourself: if someone went into cardiac arrest in front of you, would you know how to respond? 2Make sure your certification is up-to-date. 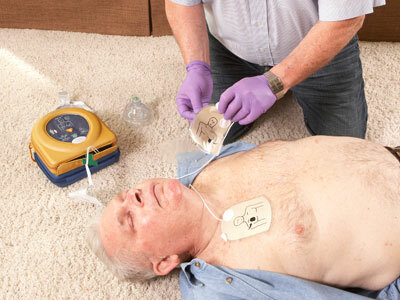 3Know where the closest AED is at your home and at work. 4Talk with your friends and family about SCA. Encourage them to become CPR and AED trained. Remember, SCA is a lot more personal than we often realize.